Dubai Marina is a district in Dubai, United Arab Emirates, about 25 kilometers southwest of the city center. The district will eventually accommodate (depending on the demarcation) between 75,000 and 150,000 people and include about 200 skyscrapers and skyscrapers. 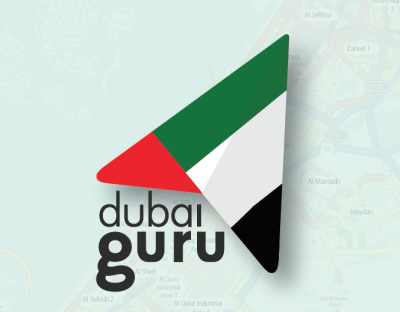 The approximately 4 square kilometers - including the water areas - large complex is connected since spring 2010 with two stations to the Dubai Metro. Dubai Marina is located on Interchange 5. The district is home to the Jumeirah Beach Residence, one of the largest apartment and resort resorts in the world with almost 40 skyscrapers. Dubai Marina takes its name from a nearly four-kilometer, man-made canal, with sweeping waterfront promenades, a large marina and a few smaller boating facilities, numerous restaurants, cafes and shops, and a shopping center with around 120,000 square meters of retail space. Especially in the southern section of the beach in Dubai Marina the changed coastline and the resulting new flow conditions lead to problems with the coastal erosion. In a relatively short time, several meters of beach were washed into the sea. A higher cover of the shore with heavy rocks should prevent further removal of material.